History. They say it is written by the victors. Funny. I suppose that another saying may also be true… “Half the world believes what the other half invents.” Whatever the case may be, the origins of Fishbowl AKA The Pink Motel are solid and sure. Factual history. Think what you want, I’m here to relate it as I heard it. 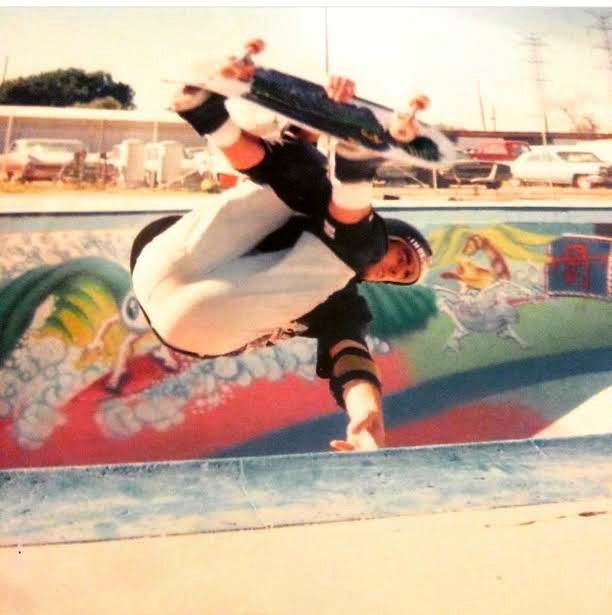 A group of young skaters from the San Fernando Valley were skating to school one day and they spotted the pool behind the fence. Terry Bixler and Wagner Rodrigues crept inside and were summarily kicked out. They had the moxie to return and be persistent. Eventually, they made an arrangement with the owner- Monty -and the pool became a permission pool for them and anyone they cared to bring along. They kept it tight and secretive. It was 1976. 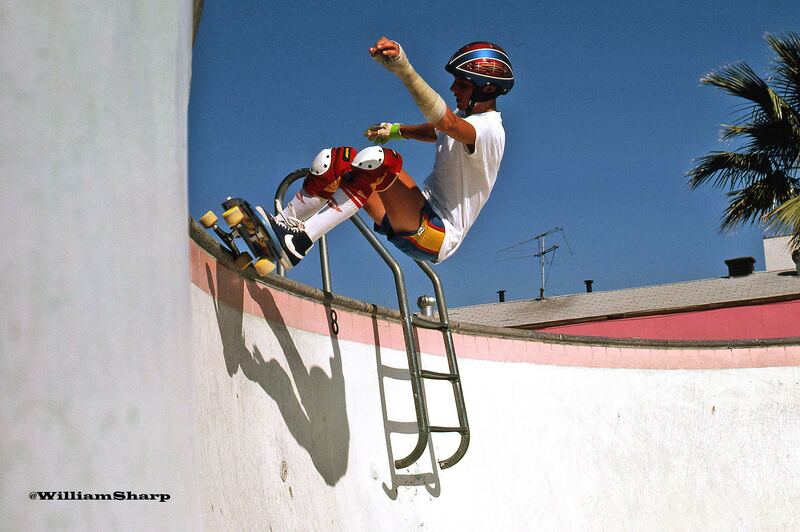 Eventually, word leaked and skaters began riding it. Magazine images appeared. Fishbowl would become a Mecca. Pilgrimage. 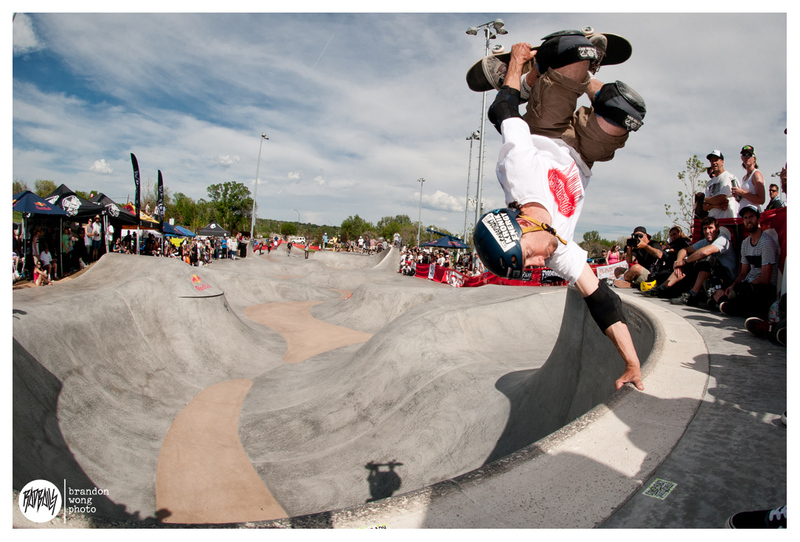 Skaters around the world marveled at its huge transitions and giant palm trees. It screamed “California”. Fast forward. 1987. 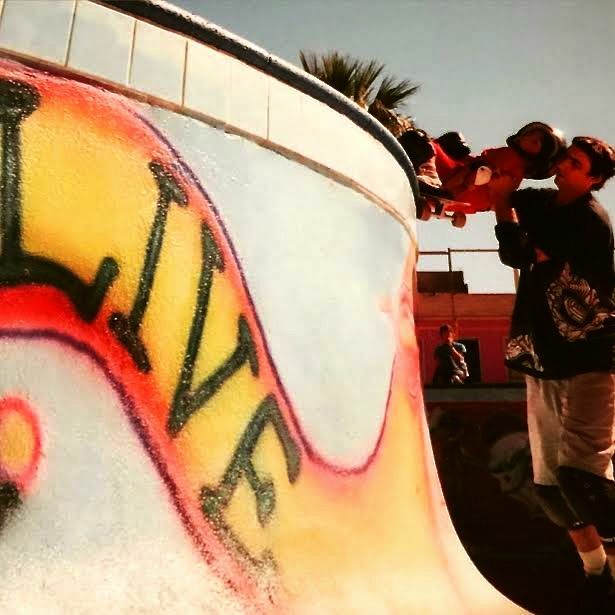 Powell Peralta video – Animal Chin. 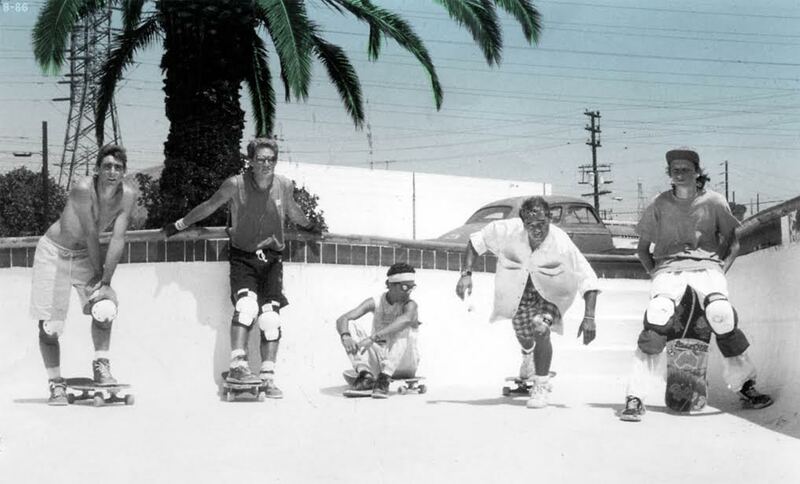 The Bones Brigade were famously told, “You guys can do anything you want to do, if you want…” Then they did. The footage from that session is amazing. 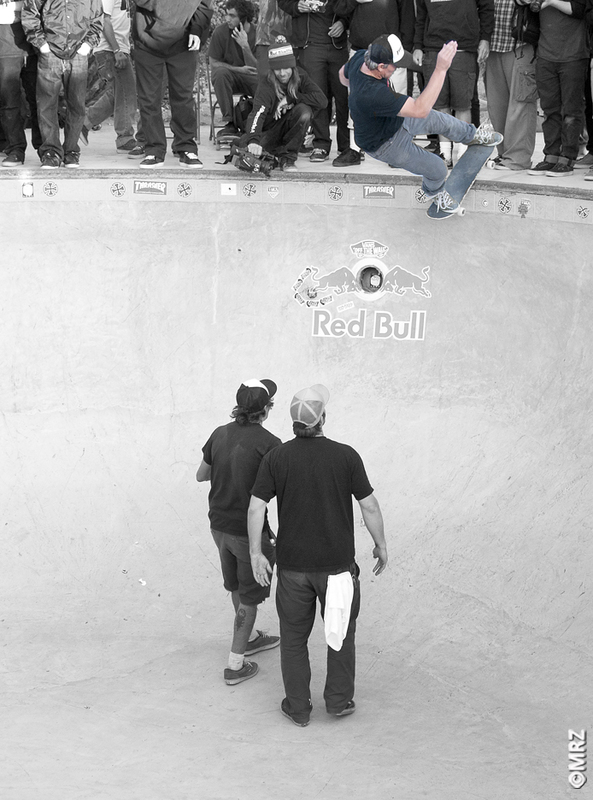 I believe that it was at this time that the Fishbowl became known in skateboarder’s minds as the Pink Motel. 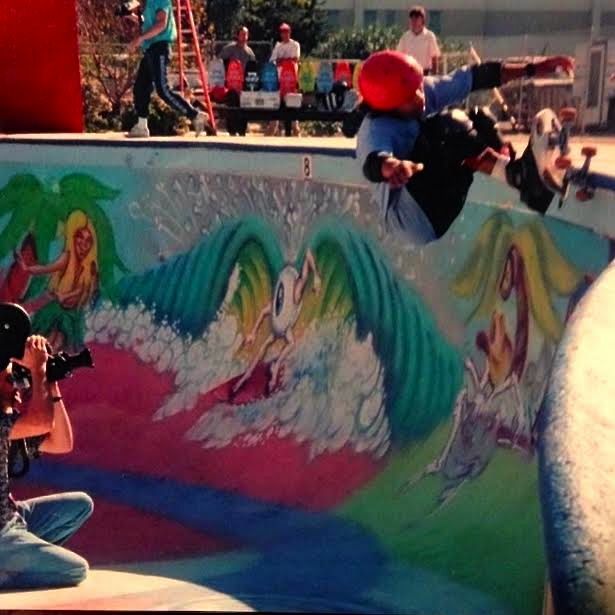 In the late 1980’s, Skate TV used the Pink Motel as a base camp. Heavy sessions were held and all of it was pumped out through the wires and into televisions all over the place. Fishbowl. 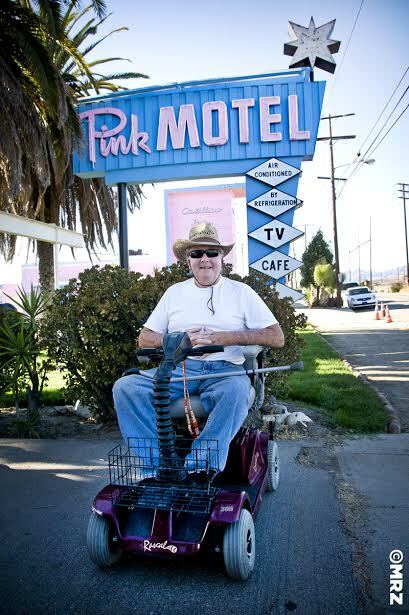 Pink Motel. Its history is heavy. 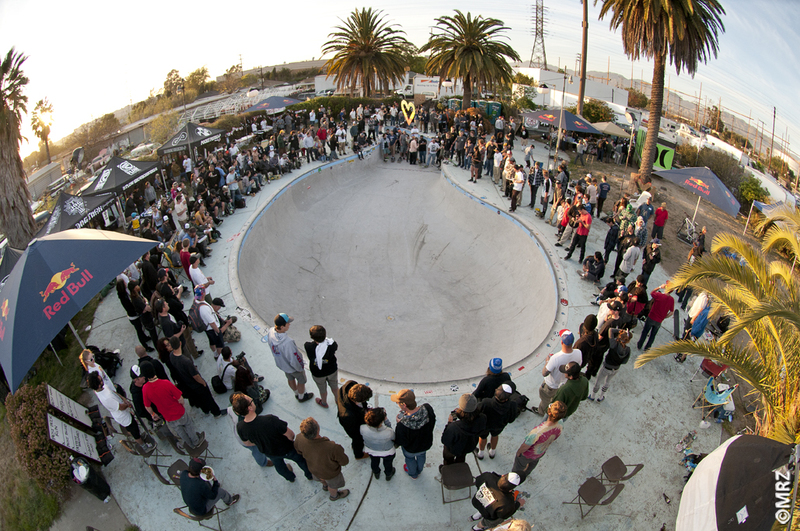 Its place in skateboarding is cemented fast. Over the years, random skating events have been held at the Pink Motel. It can be rented out hourly, though it can be costly. 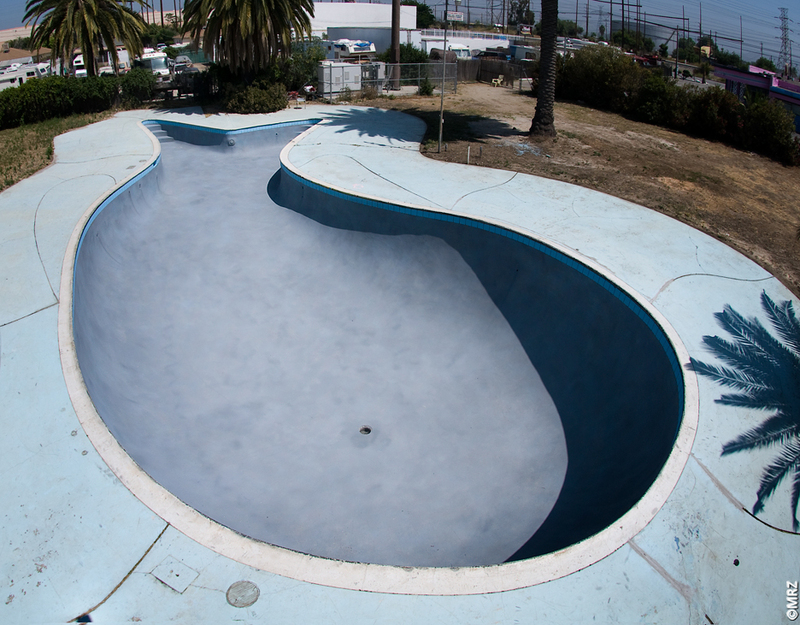 In 2010, Lance Mountain helped California Skateparks with a pool refurbishing that smoothed out the transitions and skim-coated a new surface onto the entire pool. 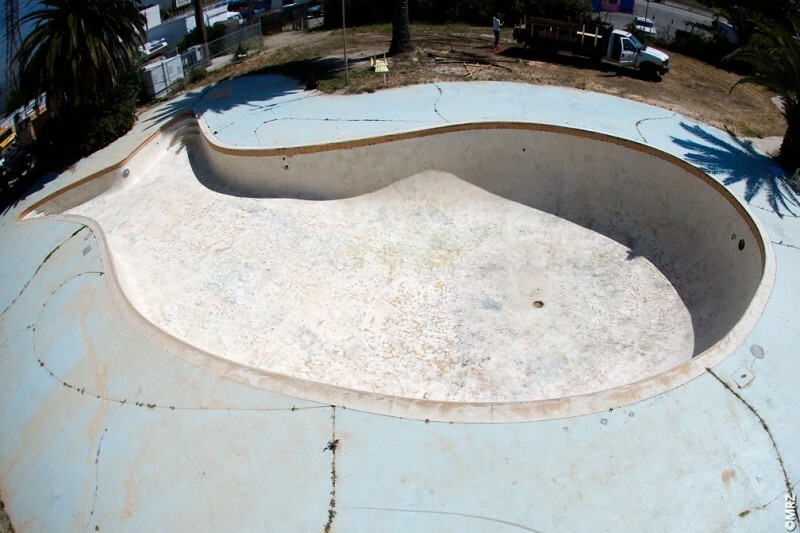 It had deteriorated from years of sun, skating and sitting empty. 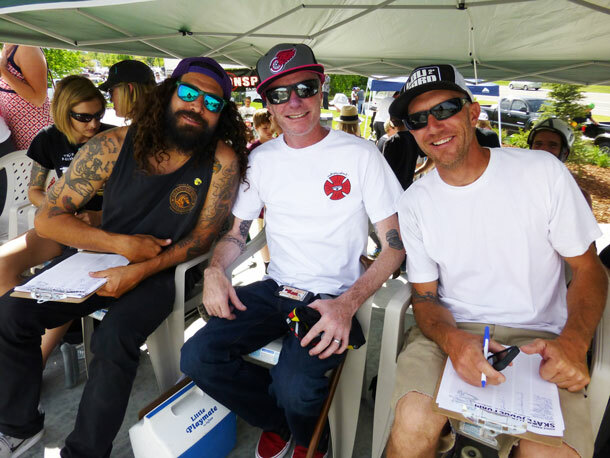 Lance Mountain ties the old into the new. 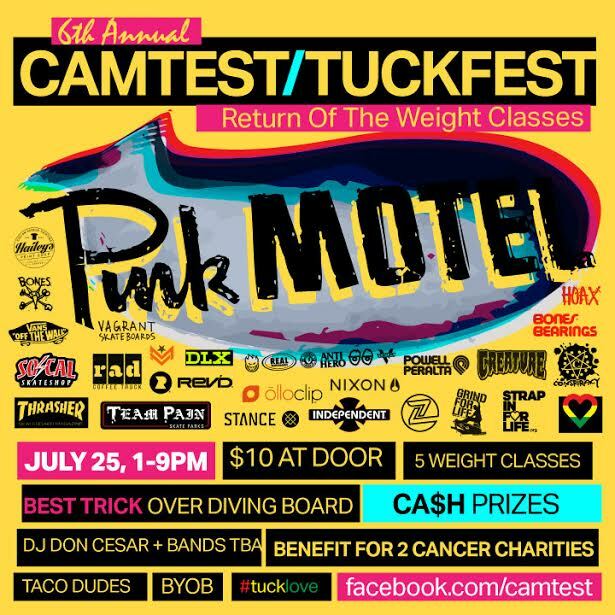 In the past few years Cam Dowse has been holding his Camtest event at the Pink Motel and –once more– the Pink Motel finds itself host to a good thing. Cam started holding the Camtest in Colorado in the early 2000’s. 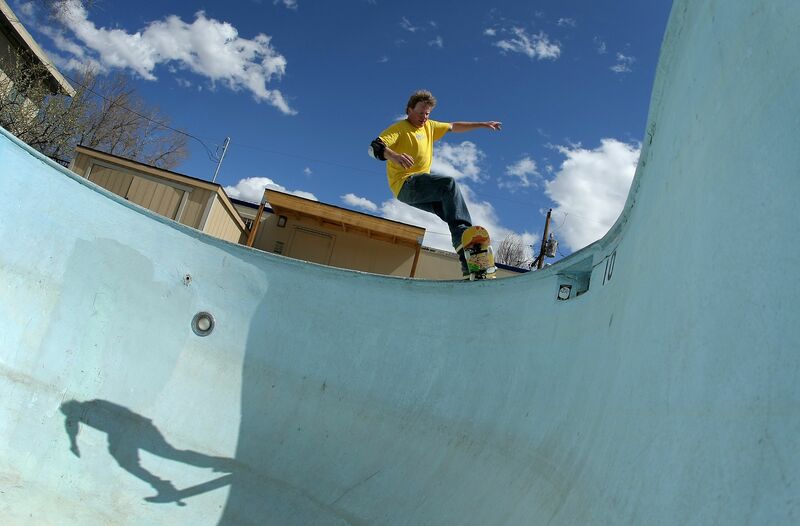 It was a way to get all of the Colorado skaters together and session. They held it off-and-on over the years at different locations in Colorado. Eventually, Cam would end up in California. One year, Cam was going to hold his birthday party at the Pink Motel when he found out that his close friend Dave Tuck was diagnosed with Cancer. The subsequent birthday party became the Camtest and a fundraiser to help his ailing friend. So many movies have been filed there as well. That Bowman pic is so rad, standing up cool. A bit like the Jay Smith one we all love. Right on Great read Ozzie. Cam rules,Tuck Lives!